HOMOSASSA, Fla. (WFLA) – A woman named “Crystal” was arrested for crystal meth in Homosassa on Wednesday. 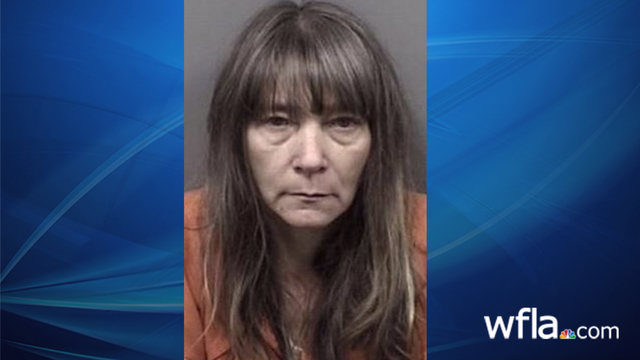 According to the Citrus County Sheriff’s Office, detectives served a search warrant at 10700 West Woodland Place after it was learned that the home was used to sell significant amounts of methamphetamine. One of the home’s occupants, Crystal Huggins, 47, was arrested as a result of the investigation. Detectives had to shuffle through many layers of litter and debris both inside and outside of the home during the search. The sheriff’s office said the home also had exposed wiring, open septic and other safety hazards. It also did not have power supplied to the property, running power from a generator instead. Detectives found approximately 18 grams of methamphetamine. A portion of the drugs were recovered in areas accessible to children in the home. Detectives also found drug distribution equipment and meth already packaged for sale. The preliminary investigation revealed Huggins regularly sold methamphetamine from the home. Huggins was arrested for trafficking in methamphetamine. Citrus County Code Enforcement and the Department of Children and Families were notified and responded, due to the conditions of the home and hazards posed to occupants.